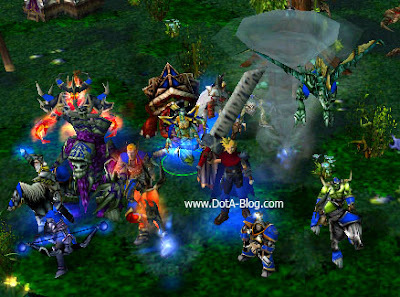 DotA 6.71b AI Fun v2.6 Map | More than 27 Fun Heroes! To activate the fun mode, just type -fun in the start of the game. wahh..waiting for this, new AI map...thanks a lot !! why can't i change job to thief with ramza? i am squire level 2 and still nothing. ok i managed to change now. i just don't know how the level system works. p.s. i built some items on the fun items shop, the item wont assemble even if you have all the items requirements? bankruptcy creditors listing and complete file instantly within 1 to 6 hours. can u fix the item fun.. ? there's one item named " Genji Gloves "
for the first released AI Fun..
yeah, it's very gud.. 100 agility, perfect..
doesn't stack ! so if u can remove that, mini stun..
i believe that item is very powerfull..
wew where is the 6.72ai.....? Can you fix the Escutcheon fun item as it's not work? And could you decrease cooldown ultimate of Wenderer from 90s (lvl3) to 20s and increase cooldown second skill from 6s (lvl4) to 20s ? otherwise he is so powerful (cheat hero)!!! Thanks in advance!!! how to change job ramza hero?? no 1 can replace him..
i always thought, if puff release in official map..
maybe like ursa, the powerfull one..
Ramza's Archer skill at +20 is godlike. 4000 damage, global range. Also, the Fluid Engineer's ultimate is hilarious and powerful. He should be added to dota soon. Hey, why the str hero can't buy fun items ? the bad quality we get.. WTF..
it's the best, when 6.70 FUN, release..
even can't build "magic hammer" item..